Acne, as well as being unsightly, can also cause pain and discomfort. It can be caused by excess oil produced by sebaceous glands, hormonal changes, stress, unhealthy diet, improper hygiene, pregnancy, etc. 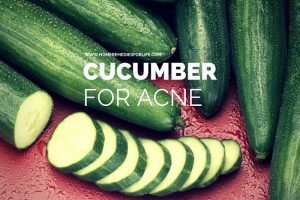 Natural herbal remedies are the most effective at treating acne, but especially cucumber. Cucumber proves as a best remedy to minimize acne. Cucumber has a mild flavor and high water content that effectively treats many health and cosmetic problems. How can Cucumber help to reduce Acne? Cucumber has several amazing benefits. It contains silica, a rich source of nutrients that replenishes the skin. It also holds the connective tissue of skin tightly and acts as an anti – acne, anti – aging and anti – wrinkle product. It has 90% of water content that helps to keep the skin well moisturized and hydrated. It has skin tightening properties that help to cleanse the skin by removing the impurities, dust and dead skin cells. It also tightens the skin pores which in turn leave them smaller and less likely to get clogged. It contains many essential vitamins (A, C and E), minerals (calcium, potassium, magnesium and phosphorus) and amino acids that preserve the skin. The astringent property of cucumber helps to cure the acne and lightens the ppearance of acne by reducing redness and pain as well as scars. It removes dirt, dead skin cells, bacteria, left over make-up and oil on the skin. It has natural calming and cooling affects to reduce redness and inflammation. It acts as a natural cleanser, moisturizer and skin toner. You can simply eat or drink or apply this alone or with other ingredients to get rid of acne quickly without any recurrence. Intake of cucumber keeps the body hydrated and flushes out toxins. Peel, chop and blend a cucumber. Drink the juice everyday on an empty stomach as first thing in the morning. Or Soak cucumber in water for an hour and then drink the infused water. Adding salt to juice as it acts as an astringent. Note: You can add a little neem juice or turmeric powder. Or Use fresh cucumbers to make salads. Add cucumber slices to sandwiches, burgers and rolls. Or just consume slices throughout the day. Regular intake of cucumber can give multiple benefits. This method clears the excess oil or sebum deposits when heat strikes. Cut a small cucumber into pieces and blend to make a paste. Stir in 3 teaspoons of yogurt then apply to the affected skin. Allow to dry and absorb for 30 – 45 minutes. Rinse off with clean lukewarm water and pat the skin dry. For additional rejuvenation, spray cool water or an ice cube on your face. Mix equal quantities of cucumber pulp, yogurt and oatmeal powder. Add a tablespoon of honey (optional) and apply on the affected skin. Wash with cold water after 30 – 40 minutes. This process removes the excess oil from skin and reduces inflammation. Blend a small cucumber to get a fine paste. Mix in 2 tablespoons of pure sandalwood powder and 3 teaspoons of fresh tomato juice. Apply on the affected skin and leave to dry. Wash off with water and pat the skin dry before applying oil free moisturizer. Mix equal quantities of fresh cucumber juice and tomato juice and apply this mask on your skin twice daily. You can also add fresh lemon juice. Fresh cucumber juice removes the redness on the skin by opening the pores. Peel and blend a cucumber and extract the juice using a sieve or cheesecloth. Add sugar and apply on the skin using a cotton ball and leave to dry. Store this juice in the fridge. Mix lentil powder and cucumber paste. Apply on the face and neck for 20 – 30 minutes before taking a bath. Mix equal quantities of fresh cucumber juice, lemon juice and rose water. Apply on the affected skin and leave for a few minutes before rinsing with water. Mix baking soda with water to form a fine paste. Add Mashed apple, mashed cucumber and honey. Mix well and chill in the fridge for an hour. Apply as a mask on the affected skin. Allow it to sit for 10 – 20 minutes and wash off with water. This cucumber toner relieves redness and swelling that is associated with acne. Extract fresh cucumber juice and add water and witch hazel or vodka. Mix well and pour this solution in a clean bottle. Refrigerate for a few hours and use this solution as a toner using a cotton ball. Or just use cucumber juice and water as a toner. Blend all the ingredients (expect the lemon slice) in a blender. Leave for a few minutes to dry and then rinse with water and pat dry. This mask has to be applied regularly. This face pack acts as an effective skin aid that not only cures acne but also clears wrinkles, spots, scars and other blemishes on the skin. Blend cucumber pulp in a blender with some fresh mint leaves. Separate egg white from an egg and beat thoroughly before adding to the juice. Apply this on the face and neck and leave for 15 minutes. Note: You can use milk, honey or rosewater instead of egg white. This natural face mask removes the debris embedded deep within pores. Blend 2 inch slice of cucumber, ground oatmeal, skim milk and 1/2 of apple and chop into small pieces. Apply this mask on the face and neck and leave for 20 minutes. Rinse with warm water followed with cold water to close the pores. Note: You can use honey and lemon juice instead of skim milk and apple. Peel, chop and blend a small cucumber. Extract the juice using cheesecloth and mix 1 tablespoon of raw honey. Pour into a plastic bottle and shake well. Apply all over the face and neck using a cotton ball. Allow to dry for a few minutes before washing with water. Mix cucumber juice, aloe vera gel, lavender oil, tea oil and full fat milk powder. Apply this all over the face and wait for about 15 – 20 minutes to dry. Or you can mix aloe vera, cucumber juice and tea tree oil and apply this as a mask. This process not only helps to reduce acne but also fades away the acne scars. Peel and cut a fresh refrigerated cucumber into thin slices. Place on the affected skin and leave on for 15 to 20 minutes. Remove and rinse your face with warm water followed by cold water. Blend 1 cucumber and 2 onions and extract its juice. Now add 1 tablespoon cooked oatmeal or fenugreek seeds to the mixture. Apply this as a mask on your back for 30-40 minutes before washing with water. Baking soda has anti – septic and anti – inflammatory properties that helps to cure cystic acne. This unclogs pores and exfoliates dead skin cells. Mix 1 teaspoon baking soda and fresh cucumber juice to form a thin paste. Apply on the affected skin for a few minutes. Apply some oil free moisturizer. Repeat process once or twice a week. Cucumber help to control the oil secretion and fullers earth works as scrubber. This method is especially used to treat cystic acne and clears scars on skin. Grate a fresh cucumber and extract its juice. Mix in 3 tablespoons of fuller’s earth to make a fine paste and apply on the affected skin. Leave to dry for a few minutes before washing off with water. Pat the skin dry and apply oil free moisturizer. Cucumber seed oil contains many benefits like anthelmintic, antiseptic, antibacterial, anti – inflammatory, diuretic, febrifuge, vermifuge, purgative, demulcent properties that when combined with carrier oil, it exhibits moisturizing and deep cleansing to the skin. It helps in defending skin cells from free – radical damage and strengthens the skin’s lipid barrier by restoring proper moisture balance. Apply cucumber essential oil on the affected skin. Massage it gently and leave on overnight. Next day wash off with water then pat the skin dry. Rolled oats work as a gentle exfoliator that removes dead skin cells and allows the skin pores to become unclogged. Aloe vera reduces the pain and irritation. Peel and blend a cucumber to extract the juice. Grind the rolled oats to form a powder and mix with the juice and aloe vera gel. Apply on the affected area and leave for 25-35 minutes. Wash with warm water and pat dry and apply oil free moisturizer. This gives a cooling and soothing effect along with gentle exfoliation to remove accumulated dead cells, dust, unclog pores and clean the face and heals the acne. Peel a whole cucumber and extract its juice using a sieve. Add 1 tablespoon of sugar and apply to the affected skin. Leave for about 10 – 15 minutes and then wash with cold water. Mix 2 tablespoons of brown sugar with 1 tablespoon of cucumber juice to make paste. Apply this paste on face and scrub gently after 10 minutes with wet fingers to remove dead cells and gently clean your face. The natural anti-bacterial and bleaching effect of lemon juice kills acne bacteria and fades away scars. Peel and grate a cucumber and extract the juice using a cheesecloth. Mix 1 tablespoon cucumber juice with 1 teaspoon fresh lemon juice. Apply the mixture on face with a cotton ball. Allow to dry for few minutes and wash off with clean water. You can also replace lemon juice with pure apple cider vinegar. The antibacterial and antiseptic properties of neem and soothing properties of cucumber help to prevent acne and also its recurrence. Put water and neem leaves in a saucepan and boil until the leaves are soft. Then turn off the heat and strain the water and let it cool for few minutes. Grind the cucumber and mix into the neem water. Stir it well and apply on the affected skin. Allow it to sit for about 15 – 20 minutes and wash off with water. Pat the skin dry and apply oil – free moisturizer. This process not only treats acne and its spots but also clears other dark spots on the skin to make it glow with an even skin tone. Wash with lukewarm water followed by some cold water. Dry orange peel in the sun and then grind to a powder. Mix in fresh cucumber juice and yogurt before applying on the affected skin. Massage it gently and leave it on for few minutes. Wash it off with water, pat the skin dry and apply an oil free moisturizer. This natural face pack exfoliates the skin, fights acne, soaks excess oil from the skin, minimizes acne and fades away scars. Turmeric is an excellent natural antiseptic. Chop a cucumber into pieces and blend it to extract its juice. Leave for 20 – 30 minutes to dry. Gently scrub the face with wet fingers then wash the face with water. Repeat the same process three times a week. Follow these tips for safe and effective relief. Drinking cucumber and carrot juice regularly helps to treat acne. People with asthma or who are suffering from cold should avoid eating cucumber or using cucumber on skin. Use fresh cucumber to reap its complete benefits. Sea cucumber gel can also work well to treat acne. You can also take cucumber pills or supplements by consulting your doctor. Other than following these remedies and tips, drink a lot of water, do some physical exercises and have proper hygiene and a healthy diet. Make sure to consult your doctor, if you didn’t find any relief from acne after using cucumber remedies. Do you know any other remedies which worked for you? Please feel free to share your experience with us! Can i straightaway wash my face with a cleanser after taking cucumber slices away from my acne face? D scars on my face are not fading and its been a month..what should i do as i am applying cucumber juice daily but results r not satisfying.. When applying cucumber only, is it compulsory that it must be refrigerated?? I’m mean chilled? No it is not compulsory. You can avoid if you are not comfortable with the chillness. Yes, it is good for acne. Leave the application until it completely dries. Rinse off with warm water followed by cold water. How much cucumber do i need to make cucumber with baking soda? Half cucumber is enough for the method. I rub cucumber only on my acne n cleans with a warm water after 5mins n wanna know if it works. It removes the dirt and impurities from the pores. It tightens the pores, reduces the redness and inflammation. Try the remedy regularly to notice results quickly. To 4 spoons of cucumber juice, you can add 1 spoon each of lemon juice and honey. In order to make a thick paste, you can add enough amounts of either gram flour or multani mitti. hey there i want to ask , how long i need to keep applying this remedies in order for me to get a clear skin? and can i mix cucumber , tomato with tumeric powder? Yes, you can mix cucumber, tomato and turmeric powder. It is difficult to mention the exact time as everyone’s skin texture and healing capacity is different. So, follow the process until you achieve the results. I’m having trouble in application of lemon juice on my face……. It causes irritation and my pimples also increases. 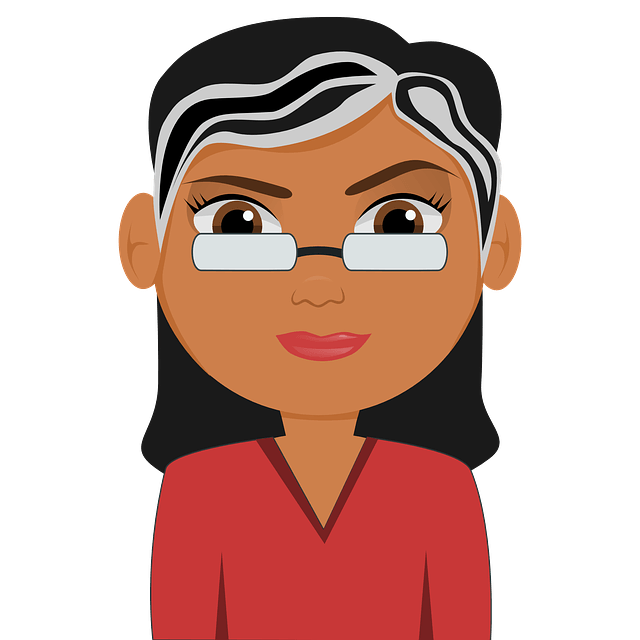 And anything with acidic content leads to increment of pimples and irritation on my face …. Why so ??????? You may be having sensitive skin that is why you are experiencing irritation and other discomforts. Try another ingredient like cucumber, oatmeal, papaya or banana peel. plz wat can I mix wit cucumber to form a cream dat I can be robbing both face n body? You can add milk cream to cucumber juice to make a cream. Apply the cream and rinse it off after leaving it on for 20 minutes. Can u suggest me something pls. For treating pimples try any cucumber method mentioned in this article. For treating scars try any process mentioned in this article – http://homeremediesforlife.com/acne-scars-1/. Apart from that exfoliate and moisturize the scars regularly. You can mix the two ingredients and store it in refrigerator for not more than a week. Make a fresh batch once in a week and use it daily. How long does the cucumber juice stay alive?? Eg if i extract cucumber juice on sundsy till what day will it be okay to apply on the face?? It will stay good for a day. If refrigerated, then you can use it till 2 – 3 days. I have these pimples since two years .can i use only cucumber juice. Removeing pimples ..???? I have tried almost all remedies but no improvement, wat can I use? For the cucumber slice, must I use warm water to rinse my face? Can’t I use just cold water? You can use cold water as well. To shrink large open pores, try baking soda method. Combine baking soda and water. Massage the mixture on the affected areas. Leave the application for 10 – 15 minutes. Rinse off with water and pat dry. Repeat the process 3 – 4 times in a week. It seems that anything I put on my skin during the day clogs my pores and also cause blackheads. But if I dont put something on then my skin feels and looks dull/dry. I need something that is going to be hydrating and pore clearing but not block/clog pores. Any ideas? I am sitting here as I type this wearing one of your masks you suggest: cucumber pulp, ground oats, yogurt and honey for half hr. =) Going to see if this helps decongest my face. You can apply a small amount of coconut oil, olive oil, shea butter or cocoa butter. Whip the ingredient until frothy and store it to use as a daily cream. The root cause of acne is internal like hormonal issues. So, we recommend trying any method mentioned in this article – http://homeremediesforlife.com/acne/ to treat the problem from inside. Don’t worry, it is just because the infection which is causing the pimples is drawn out. Continue the application for another 1 – 2 weeks. If you are still experiencing in any increase in the number of pimples then try any other remedy. I have been trying a lot of home remedies for my black spots but there is no improvement. Can you please help me out? We have compiled tried and tested remedies for removing dark spots in this article – http://homeremediesforlife.com/brown-spots-on-skin/. Choose any one among them and try it regularly with some patience until you achieve the results. Yes, you can. But make sure to patch test it before trying out regular treatments just make sure you aren’t allergic to any ingredient. pls i was told cucumber juice and toothpaste mixture can work for pimples, is it good for oily face? is it possible to cure pimples by adding lemon juice in my lotion that i apply on my face? How long should I wait to eat after I drink the cucumber juice as first thing in the morning on an empty stomach? I have a lot of redness in my cheeks, I’m already taking absorica. I wanted to know if the cucumber slices on my face will make any difference (will it reduce redness, or it won’t really do anything)?